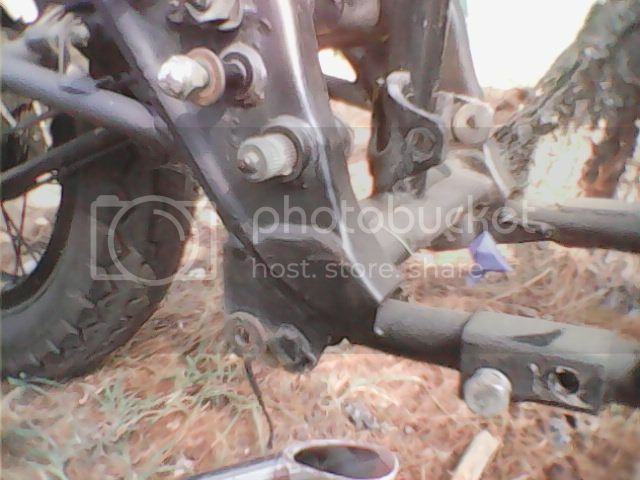 Discussion in 'The Garage' started by xs65071, Sep 2, 2015. Is it hard to weld on the hardtail as for making it straight? Does it need slugs I have a hard trail pre made from the factory metal works the bottom bars look just like the top they are precut on an angle. I can post pics of it also. I want to start to to cut my frame but knot sure exactly were to cut the bottom tubes. It would just cost me to much to send it out pay the price to get it done then have to pay both ways shipping any help would be great thanks. I recommend slugs. I also recommend building it in a frame jig. That way you know it is straight when done. Table has to be level Frame has to be level with table. Done it both ways with a jig and without. Jig save plenty of time but you have to buy one. You can contact JON at MONSTERCRAFTSMAN and they are a 3 hour ride and they can do it while you wait if you set it up with them. I have sent other people there and got a great job. There are no more shops like mine in NJ that do frames , There is also a shop in Delaware but don't have any info or cost. Thanks guys I may try the table way if not will try and make the trip to monstercraftsman! 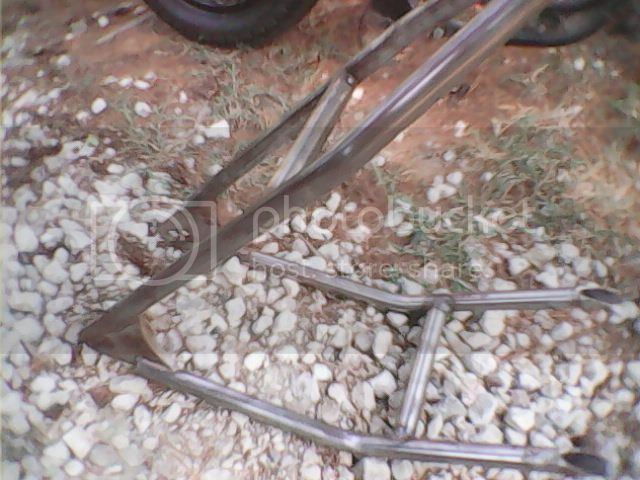 Here's pictures of the frame and hardtail. Should I grind off the plate also on the backbone and cut the bottom frame rails right after the big part of the frame. I'm trying to get I ready so I can take to monstercraftts man soon so its all ready for them to just puthardtail on. 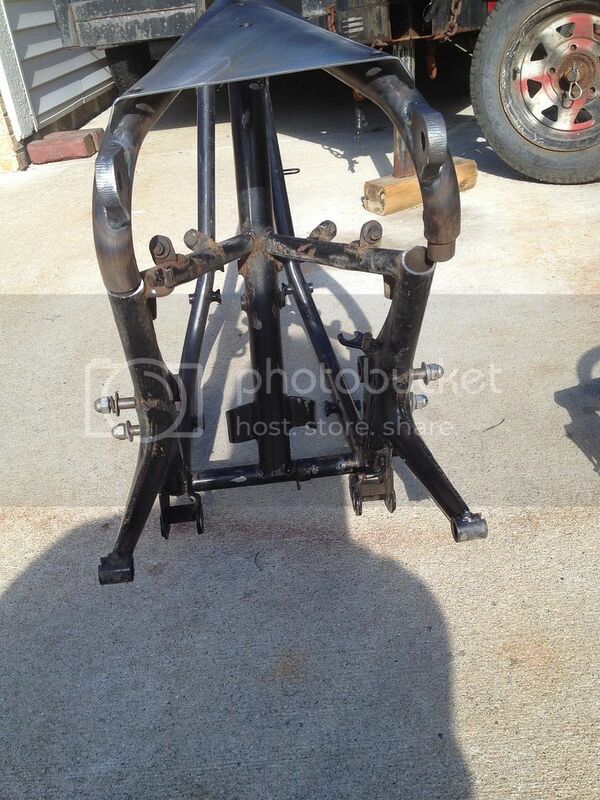 Should I cut in between the exhaust Mount and big part of the frame on the bottom rail? And should I grind the plate off on the back bone? If anyone could give me advice be great thanks. 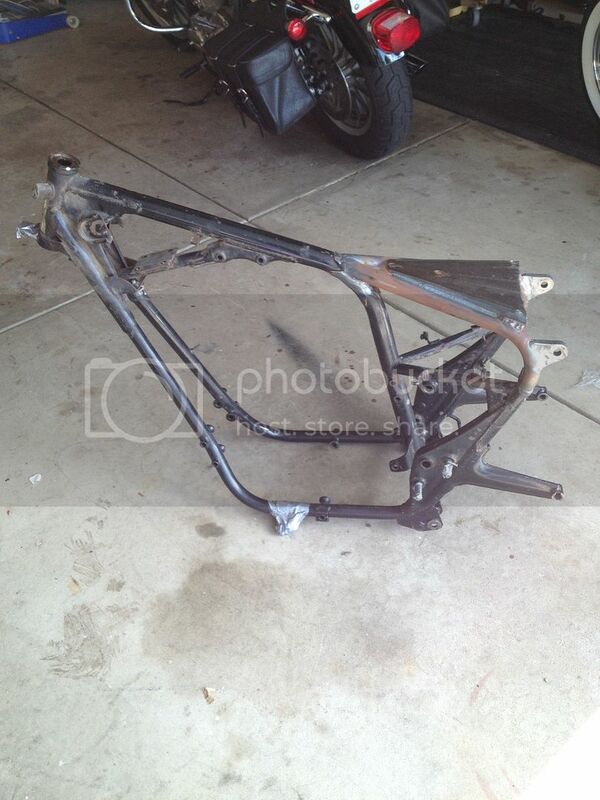 Will be cutting subframe off tomorrow tonget ready for the hardtail. Which hard tail did you buy? There are zero instructions that came with it? Not a shot at you, just curious. Hardtail is from the factory metal works an no instructions that's why I'm asking before I cut because I'm sure theres different ways for each hardtail. If your going to monster craftsman to have them do it, I wouldn't stress it to much. They'll know what to do. It would better to let them prep rather than have you take to much off. Just my 2 cents. That's what I'm thinking. Thanks. Tagging to see how Monster Craftsman did welding your hardtail. I'm getting ready to send mine to them for welding. Don't think he went through with it, his hardtail went for sale a couple days after this thread. However, monstercraftsman has a good reputation, I wouldn't worry about it, they do good work. They welded my brat kit on at Monstercraftsman and did an awesome job. Very clean welds and quick turn-around. Is that a monster brat kit? Gotcha. 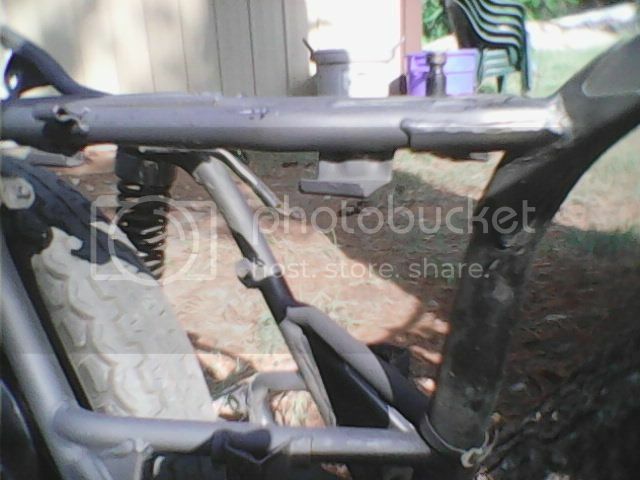 The old lower backbone on the early frame. I ran across that on my 73 frame. Also the risers are wider after '73. I ran into this after I ordered the kit and cut my frame. 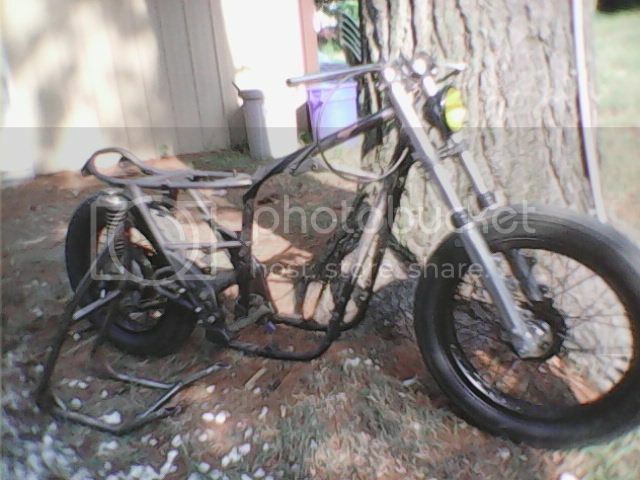 The guys over at Monstercraftsman paid for me to ship them my frame, modified the kit, welded it up and shipped it back within two weeks. amazing customer service.